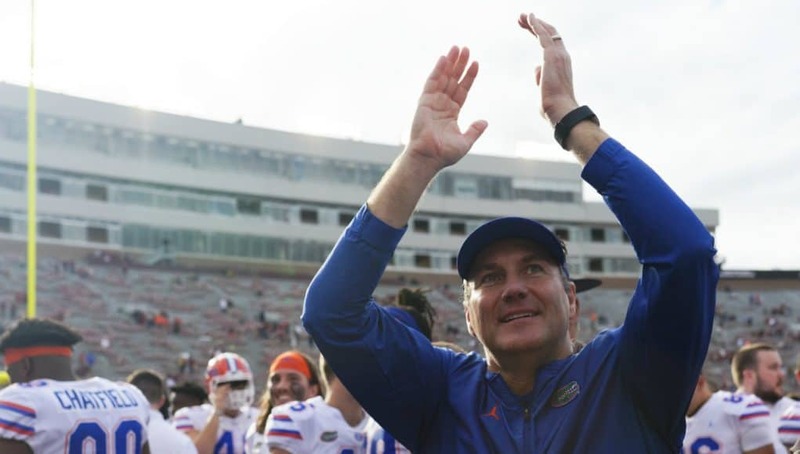 Dan Mullen and the Florida Gators made big news on Tuesday when he flew around in a helicopter visiting several schools in the state of Georgia. 2020 linebacker Kevin Swint (6-3, 220, Carrollton, GA. High) was one of those guys who received a visit on Tuesday. 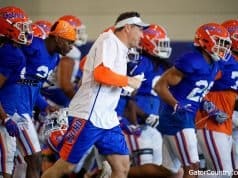 Mullen and linebackers coach Christian Robinson landed on Carrollton’s High School football field and that was something that Swint had dreamed about. 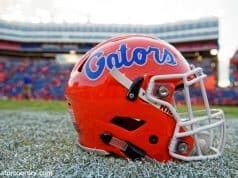 The Gators coaches spoke with Swint’s coaches and had a message for the 2020 linebacker. Swint says that while he couldn’t talk to the coaches in person on Tuesday, he talks to them a lot over the phone. 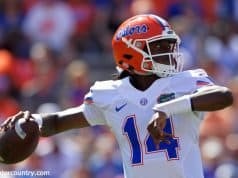 The Gators are a team that Swint likes a lot and he says it’s because of his relationship with Robinson. INSIDERS TAKE: Swint says he isn’t sure when he will make it down to Gainesville for a visit but he wants to visit soon but he’s in no rush to make a decision on a school.